Experience the fascinating history of one of our spectacular castles or ancient monuments, or wander through colourful gardens gathering inspiration. Enjoy the thrills and spills of action rides with your family at an adventure or theme park. Take a boat trip to explore the islands and wildlife of Pembrokeshire from a view point many don’t get to see. Tuck into delicious food made with the finest Pembrokeshire goodies or watch the experts knock up a dish in minutes at a food festival. Spend a day wrapped in seaweed or plunge into a warm pool with killer views at a totally chilled spa. Then you’re ready to head out to experience the talents of Pembrokeshire’s musicians, whether it is a traditional folk band in the corner of the local pub to classical concert in the grand setting of St Davids Cathedral. You might discover the next big thing. 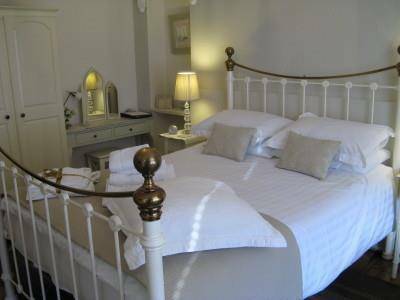 Luxury accommodation in the heart of Tenby. Perfectly situated, just a two minutes walk from Tenby's South beach with it's glorious golden sands and the same short distance to town with it's many individual shops, Restaurants & Cafes . Bay House is well situated for exploring the beautiful Pembrokeshire coastline. 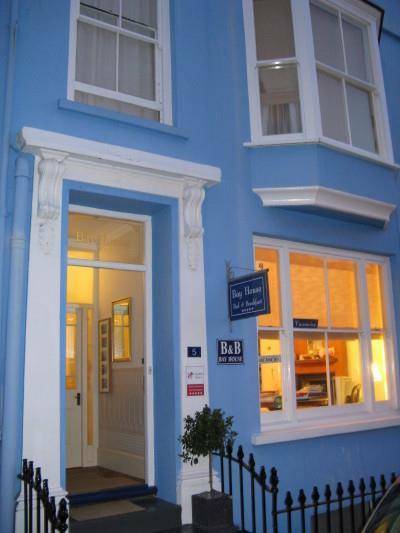 Bay House is the first Bed & Breakfast to achieve a Five star rating in Tenby! Comfortable contemporary ensuite rooms, styled in relaxing neutral tones. Breakfast on delicious locally sourced ingredients - you will barely need lunch! Bay House is an early Victorian townhouse of distinctive character, which has been transformed into a unique luxury 5 star bed and breakfast providing a blend of traditional with the luxury of contemporary design. Superbly spacious rooms offer every comfort to the discerning guest. 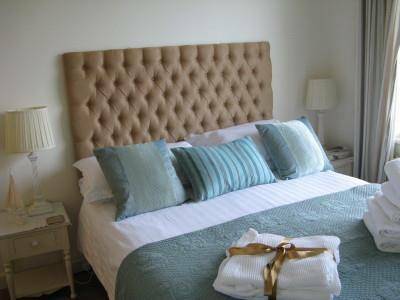 For quality accommodation, a central location, great food and a relaxed atmosphere - try a stay at Bay House........ A warm Welsh welcome awaits you!